Commencing with installation of pile mats, attendance to pilers, construction of cores, pile caps, ground beams and the formation of the ground floor slabs. Superstructure comprises of 2 no 10 storey blocks and 1 no 24 storey block adjacent to the DLR. Frames were constructed utilising precast columns and jump form construction for the cores. 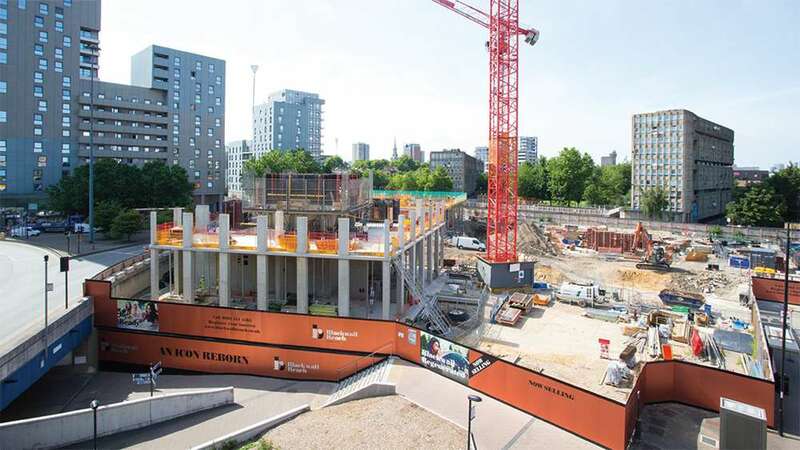 Titan Screen Saver will be installed from the 3rd floor of the 24 storey tower.Commencing with installation of pile mats, attendance to pilers, construction of cores, pile caps, ground beams and the formation of the ground floor slabs. Superstructure comprises of 2 no 10 storey blocks and 1 no 24 storey block adjacent to the DLR. Frames were constructed utilising precast columns and jump form construction for the cores. Titan Screen Saver will be installed from the 3rd floor of the 24 storey tower.